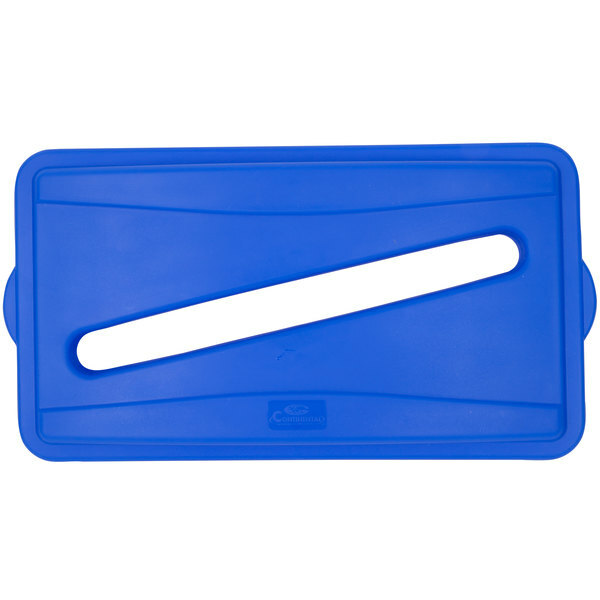 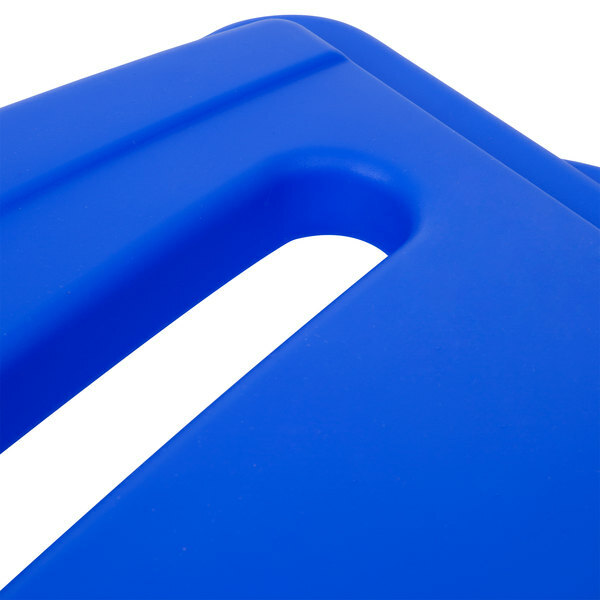 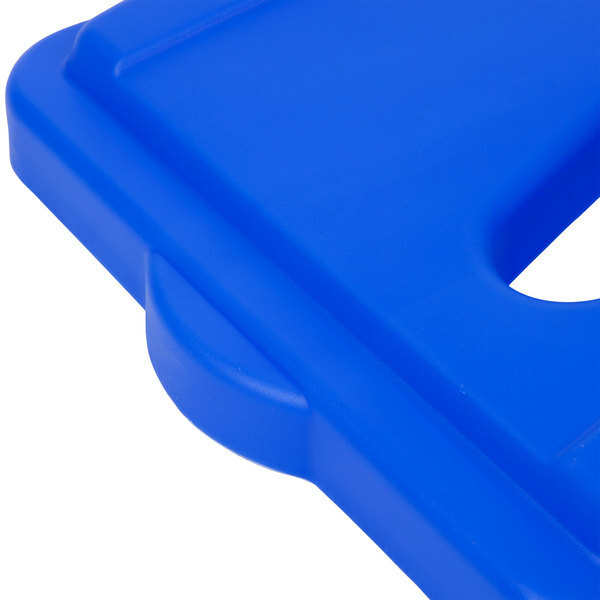 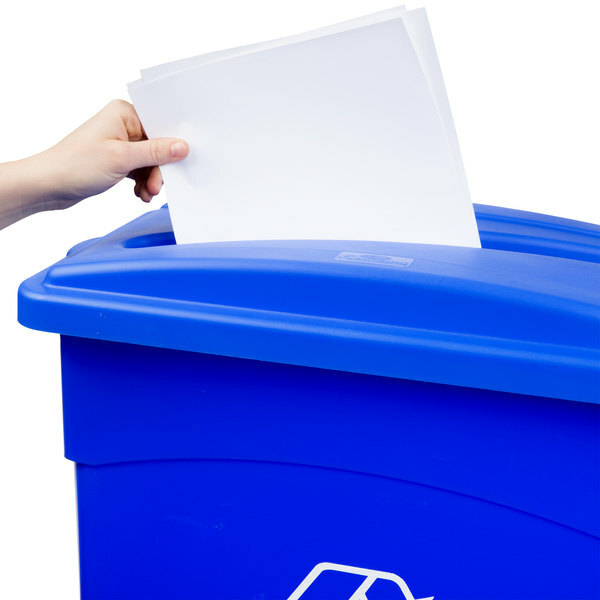 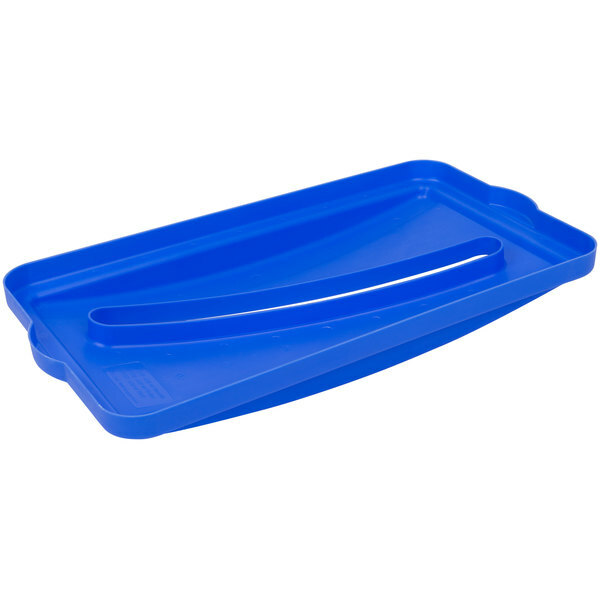 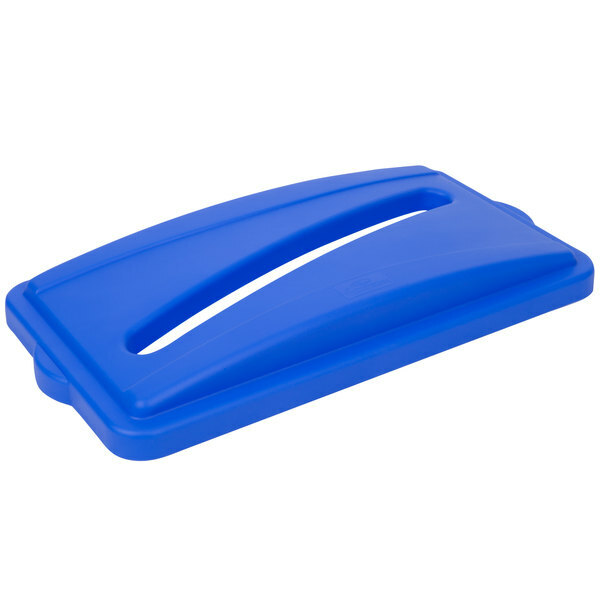 Easily sort, dispose, and conceal trash with the Continental 7317BL blue Wall Hugger recycle lid with slot. 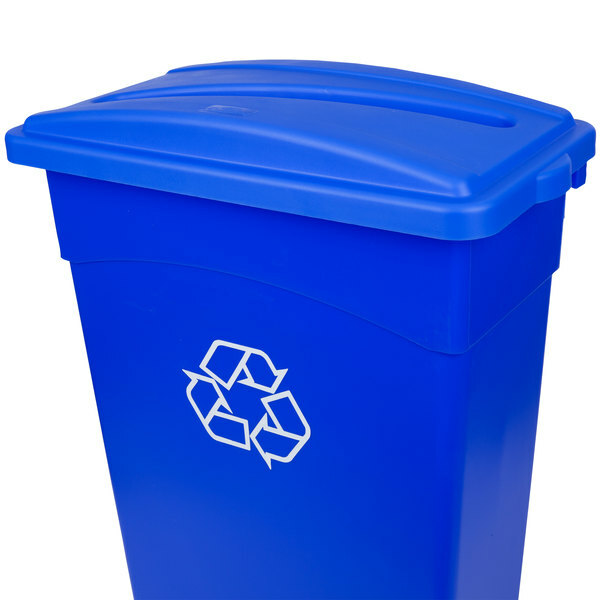 Color-coded lids enable easy, at-a-glance sorting of recyclables. 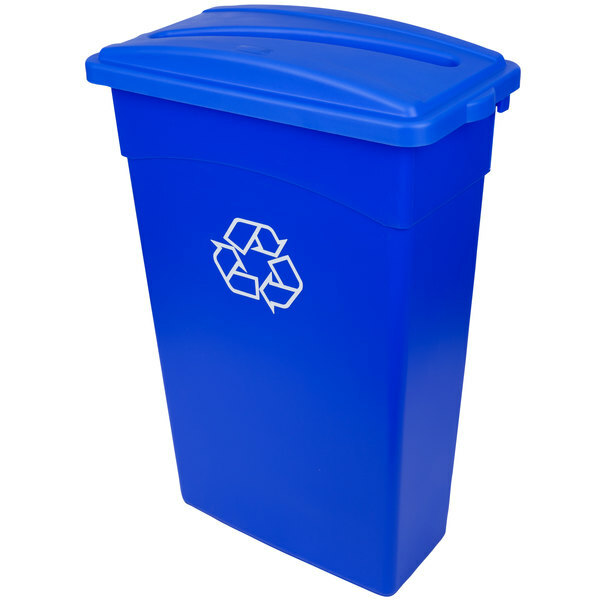 This lid fits all wall hugger trash cans. 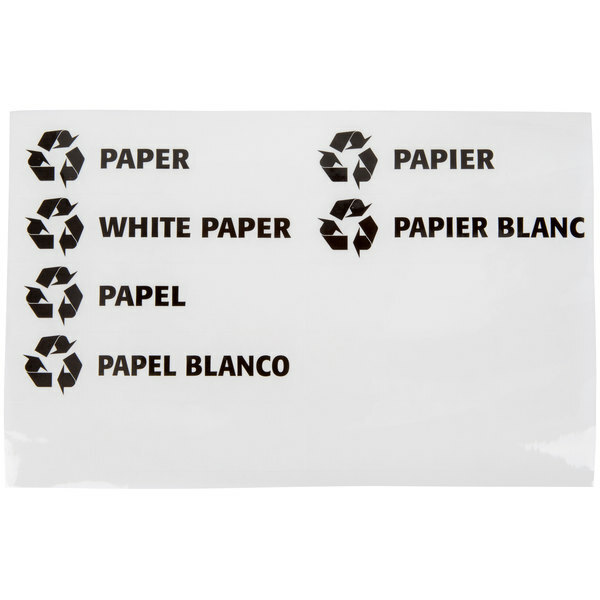 A set of trilingual (English, French, and Spanish) stickers is included with this Wall Hugger recycle lid so you can clearly designate its use. 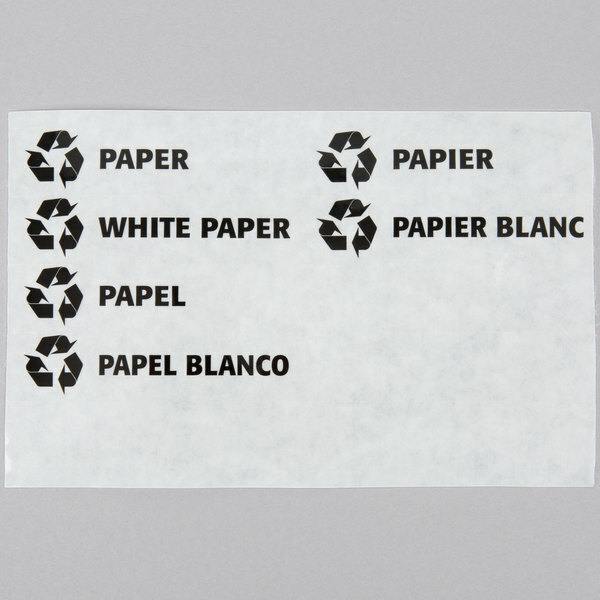 Each sticker set contains one each of "glass", "plastic", "aluminum/plastic", "glass/plastic", "glass/aluminum", "glass/plastic/aluminum", "organic", "waste", "paper", and "white paper". This slotted recycle bin lid is perfect for letting your customer and employees know which bin is for paper and which is for cans and plastics.